​​You are probably here because you already heard of Profit.ly, because the founder of this platform, Timothy Sykes, is extremely popular. More than 20,000 people are checking google each month for Tim Sykes name. You may also be curious for more detailed information about Profit.ly and the services they offer. ​​​Who is ​Timothy Sykes Profitly Best for? First of all, Profit.ly presents itself as the right partner to optimize the trading world. They promise that their service will help traders and investors to improve their skills and performance with their trading courses to enable them to get better in analyzing and in making the right decisions. The company's philosophy was inspired by its founder Timothy Sykes who wants to teach his students to use detailed, reliable data to focus on what will be the best and the most profitable decisions for themselves. Instead of focused on breaking news, they recommend to better use fundamental analysis for long-term success. 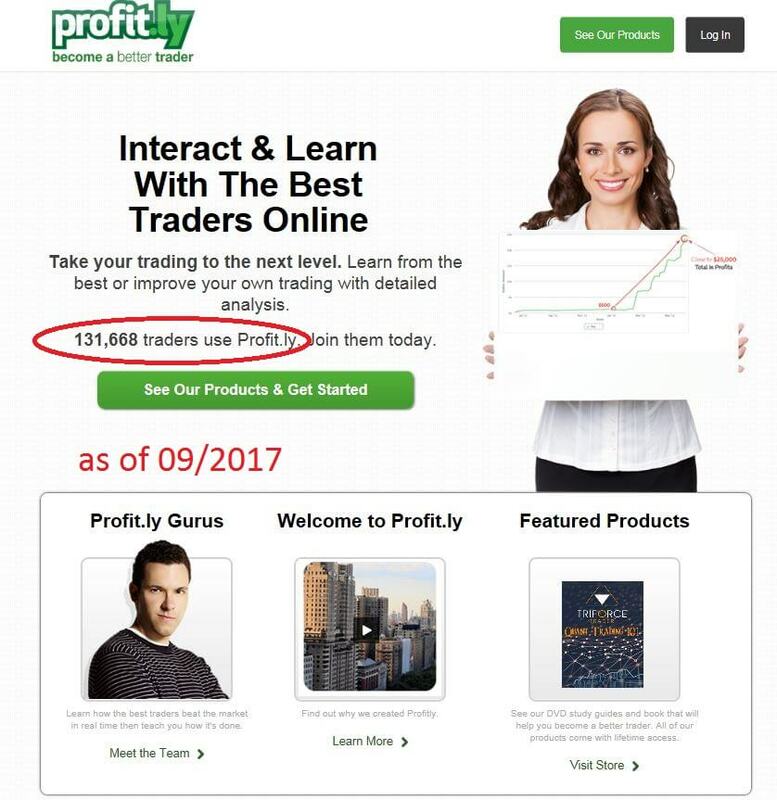 By now 153,310 traders are using Profit.ly (according to profit.ly). About 2 years ago they mentioned on profit.ly that 131,668 were using their services (Profit ly stats). Is it legit to think, that profit.ly is a service we can trust and what products and services do they offer? Is a user growth of >20,000 users in about 2 years realistic? That's exactly what we are going to check in this profitly review. ​Please, continue reading if you want to get to know what Profit.ly may do for you. What does Tim Sykes offer at Profit.ly? When people are talking about Profit.ly, all automatically they are also talking about Timothy Sykes. So, let's better start with a short introduction of the founder. First of all, he gained fame by becoming a self-made millionaire at the age of 22. And he reached this with penny stocks. He uses to tell the story how he turned $ 12,415 into $ 1.65 million and how he made a lot more millions since then. Soon he was featured on the TV show Wall Street Warriors. And just a little later he decided to become a teacher to share his experience and the secret of his amazing success with others. The profit.ly platform contains ​only a few pages and the navigation at the platform didn't impress me too much though. There is no clear overview to explain what Profit.ly is actually offering and you always have to push the “Get Started”-button to find out more. So, you can only gather all information little by little and step by step and this takes quite some time. Let's start with the good news. Also Profit.ly is offering some services for free. In the “Learn for Free” section you have the opportunity to explore Profit.ly's trading communities and to watch live day trading﻿﻿ to understand who is trading how and why. Beside this, you can join the community for free. Thats all that you get for free. This will enable you to interact with other traders, to track the profits and to verify trades. You will have to pay for the other services. The first paid ​service that Profit.ly offers is the “Watch and Learn” section offering a lot of books and DVD's for detailed training. But don't be shocked as the prices for these lessons are really high. However, if you decide to buy one of them, you will find out if it was worth the price. 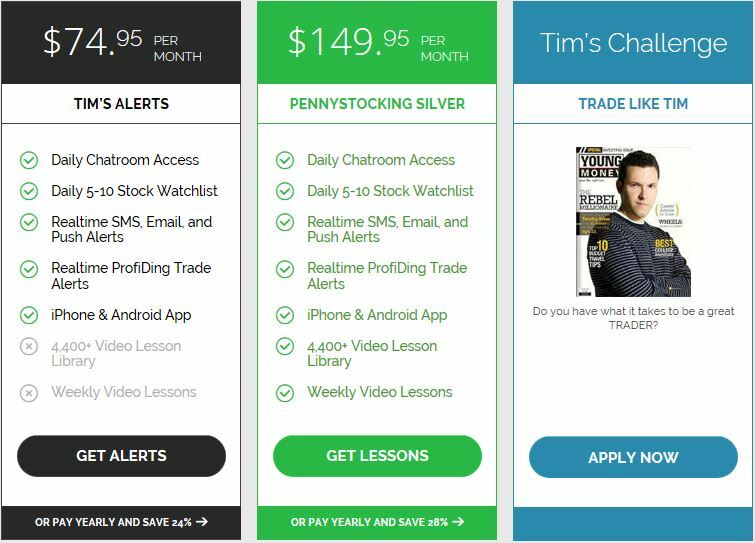 Tim Sykes himself teaching penny stock trading: This is your chance to learn from a self-made millionaire who promises that by now, his students have already made more than $ 16 millions. 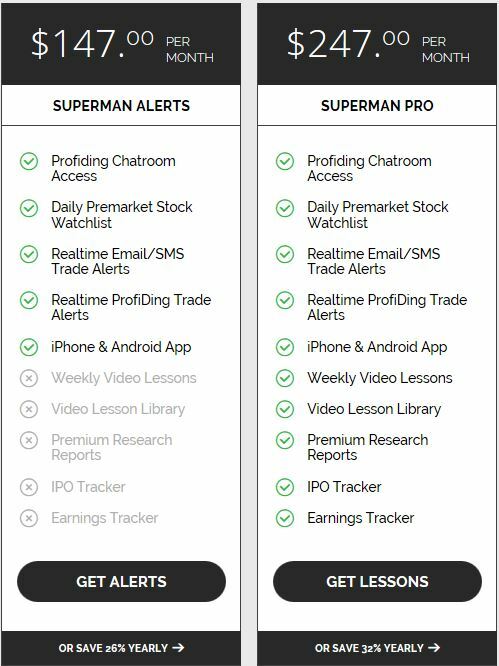 Superman teaching you all about premium research and trade ​ideas: He is an experienced professional in swing trading who knows well how to buy stocks with an outstanding potential. Yes, I agree, this is not enough information at all to find out who might be the perfect teacher for you. So far, so well. Now we know what the "Gurus" are offering and what it costs. Do the subscribers really get what they pay for? Unfortunately, there is no more detailed information about the Gurus' packages, but on the bottom of every page you can read reviews for every one of the four Gurus. These reviews sound quite enthusiastic, but just as always, here you cannot see if these reviews are real. ​​Finding any advantages is hard. Yes, there is a free learn section that might you a first impression about the service and the free access to the community might be useful to get a better understanding of the profitly leaderboard. But in the end, there is just no real valuable service that seems to be worth trying it. As you know from my other trading course reviews, I always aim to find the best trading course available reviewing all those services. Profitly is not at the top of the list. Continue reading the profitly review to find out more about the refund policy and my summary. As you can not really check the services in advance, there is always a slight possibility that you may end up not being happy with what you get and that you may want to cancel your subscription. If you do this, you will not get any money back, no way. The refund policy of Profit.ly states clearly that you benefit from the knowledge, the newsletter and the analysis as soon as you sign in. So, there are no refunds at all. To make this sound better Profit.ly explains that it is always worth it to invest in your education and in becoming a better trader and that they charge less than a night out with a dinner and drinks would cost. Well, I think, this depends on where you go. ​Actually, for the paid services there is no free trial available. You can check out the platform for free, but that's all. And once you left your email-address​, you should expect to receive upselling-emails for the paid services. ​Profit.ly is offering fewer services then they did two years ago when I wrote my initial profitly review. Nothing has improved so far, and I still have to come up with the same criticism points as I did in the beginning. ​I think, especially a platform that also offers services for beginners should not hide and ignore the risks of this business. Everything would feel much more honest to me if they would mention the risk at least. But well, maybe it is right to believe that everybody should be aware of this and that there is no need to talk about it. 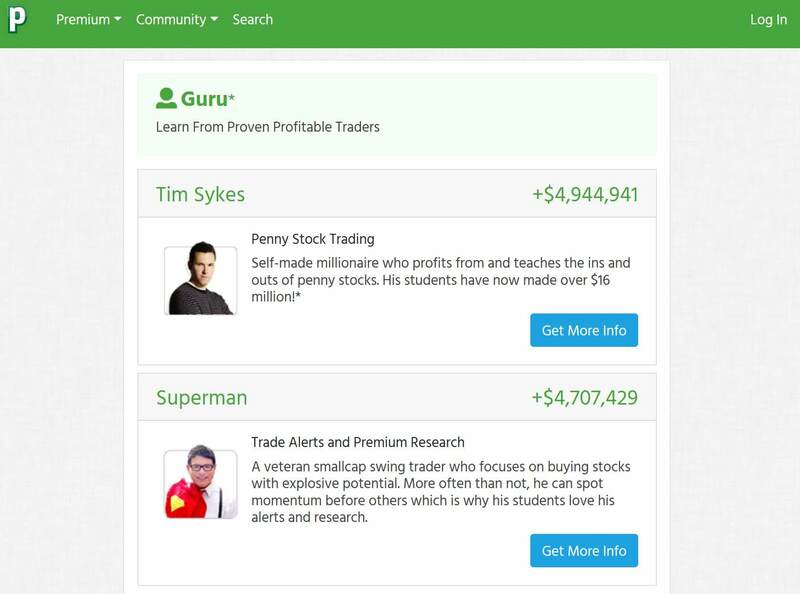 I do not think that there is a group of traders that Timothy Sykes profit.ly is best for. Check out my review summary to find some ​smart alternatives. 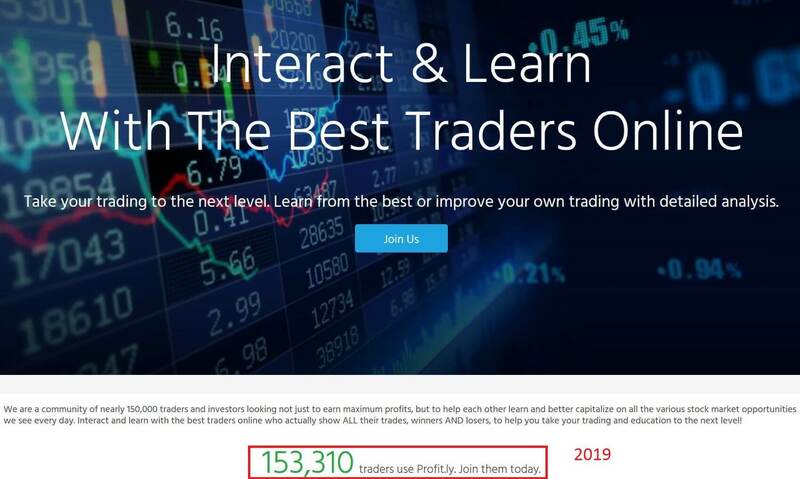 ​If you are really serious about learning how day trading for beginners works out the best, then you should consider choosing a market leader in this business with tons of education material, excellent versatile products and services, free trials, promo codes and so on. I recommend you to check out my Warrior Trading Review as well as my Trade Ideas Review today instead of using Timothy Sykes profitly products and services. Why? Because in case of profit.ly, I have to admit that it is a little hard for me to tell you my personal impression. This platform seems to be amazingly popular and it has a lot of members​ based on the profit.ly stats. But me personally, I am skeptical if somebody advertises with the stories of traders who became millionaires and if somebody tells me that also some of the students are millionaires by now. Is this truly the meaning of trading? Of course everybody starts day trading to gain profits, but only a few will make so much money. But in a serious business, me personally, I wouldn't be too fond of a "Guru" teacher who calls himself Superman or so. ​But this is only my opinion. Furthermore, I did not find any verified bank statements on their website, and reduced functionalities indicate, that the business is not running that good anymore maybe because Timothy Sykes is focusing on his other projects. As there is not much detailed information at all on this platform, I think, if you are curious for the "Gurus'" services and secrets, there is no other way, but to go on and to check it out yourself.